You have the breastplate, the helmet, and the spaulders, and yet your armour still feels incomplete. Do not forget to cover your neck! The Blackened Georg Gorget makes the perfect piece of protection that is sure to complete your armoured ensemble. This handmade, 18-gauge steel gorget features an extra-long chest piece that effectively covers the sternum. Ornamental riveting runs the length of the gorgets border, giving it an authentic medieval feel, and its black metal finish only adds to its appeal. The gorget opens sideways and is closed by way of a buckle, keeping it secure in combat while also allowing it to be removed with ease, and it can even be attached to a cuirass or breastplate for added security. This gorget was originally designed for use with other pieces from the Georg armour set, but it can also be worn on its own or used as a harness for a variety of other pauldrons. 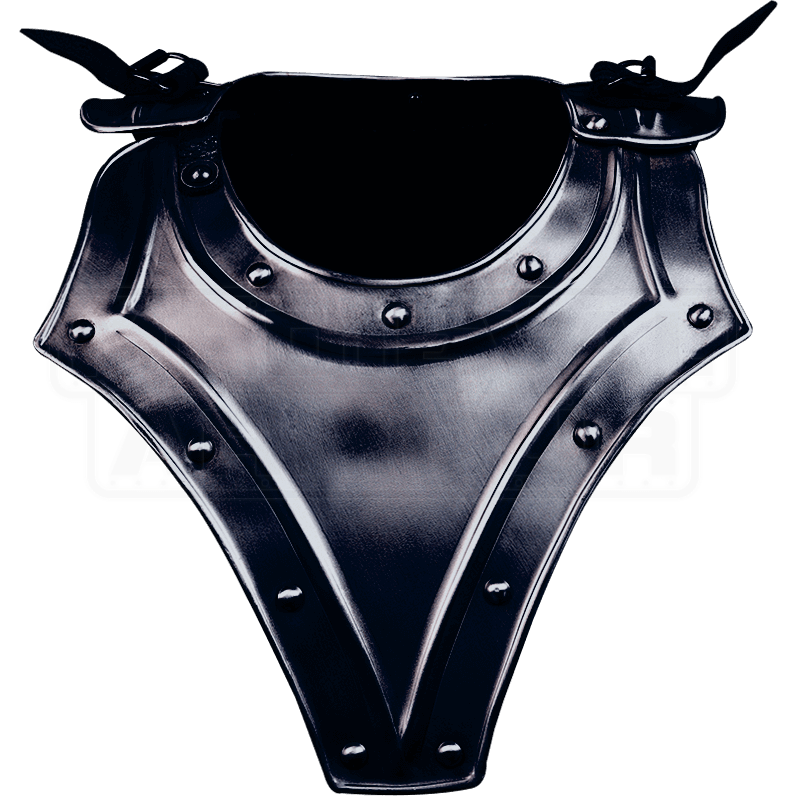 The Blackened Georg Gorget makes a fantastic addition to any suit of LARP or reenactment armour.